"I provide custom-fit investment portfolios that meet the individual needs and goals of my clients." LPL Financial Advisor Joe Collins is committed to helping you pursue your financial objectives. As your goals change over time, Joe will actively monitor your investments and work closely with you to formulate an individualized roadmap to help you invest, diversify your holdings and pursue your plans for the future. 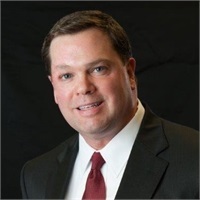 Serving Madisonville, Kentucky, Joe attended Western Kentucky University as an Economics/Psychology double major and now has 28 years of experience – 24 of which have been with Old National Investments. Joe is actively involved in the community, including with Madisonville Lions Club, as a current District Chairman of Boy Scouts, as a Salvation Army board member (past chairman), as a USO volunteer and as a Phoenix Society for Burn Survivors volunteer. He enjoys horseback riding, camping and travel.